The Intersolar Tweetup: So THAT'S What @SolarRosana Looks Like! The Intersolar Tweetup: So THAT’S What @SolarRosana Looks Like! You know, I get a lot of questions about why Solar Power World sponsors Tweetups. Those people who either aren’t on Twitter or are on it infrequently don’t understand the medium and what it represents. Those hearty souls who carry the industry’s message into the brave new world of social media — the increasingly large, active and passionate #solar Twitter community — know it’s a place to compare battle scars and compare notes, lick our wounds and prepare for battle again. But while the Twitter army that came together at the ThirstyBear Brewing Co. during Intersolar North America, thanks to the teams from UnThink Solar (I’m looking you, @SolarFred), Enphase (@enphase) and REC Solar (@RECSolar) (and some publication called Solar Power World — @SolarPowerWorld) is its own band of brothers and sisters, we all cherish Tweetups as an opportunity for us to put flesh to those electronic skeletons we’ve carved out with Morse-code precision, 140 characters at a time. Look, there’s @SolarRosana (Rosana Francescato, the curator of the PV Solar Report), talking to @SolarCurator (Tom Cheyney of Impress Labs) about the brutal beating Brazil is taking at the hands of Germany in the 2014 World Cup. There’s @chaolyst (Pam Cargill of Chaolysti, a San Francisco-based business consultancy) talking to @kheilmann (Kathy Heilmann, founder and president of Energia Marketing) discussing strategies about how to help solar installers better their business and marketing skills. And, of course, there’s @SolarFred (Tor Valenza of UnThink Solar) at the center of it all, beaming like a proud papa as he looks out upon the standing-room only crowd on the second floor of the brewery. As one of the original leaders of the #solar Twitter brigade, it must do Tor’s heart good to see it grow to the size it has. With the continued support of industry stalwarts like Enphase and REC, it will only continue to grow and, before we all know it, the Twittersphere will be dominated by the most influential solar social media team ever assembled. 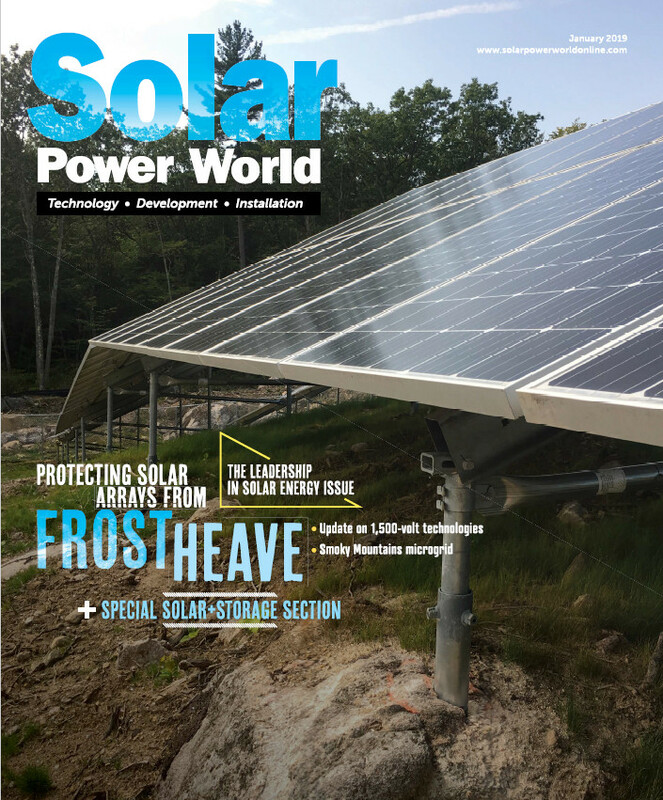 We at Solar Power World were honored to be part of such a noble assemblage, with most of our team attending (@solarkathiez (Kathie Zipp), @wtwh_renewables (Steven Bushong), @wtwh_TTidmore (Todd Tidmore), @wtwh_suren (Suren Sagadevan), @wtwh_CSeel (Courtney Seel), @wtwh_msmedia (Jessica East) and @WTWH_Tom (Tom Lazar). As you can see, we are willing and happy soldiers in #solar’s Twitter battle force — and we will continue that mission as we move forward. So if you weren’t there, you won’t be able to tell future tales of glory from St. Crispy Potatoes Day — but make sure you’re not left out of the next. You never know who you might meet. Great write-up Frank. Looking forward to the SPI Tweetup! Haha fun write up Frank…!